Amidst increased tensions over the US-Mexico border, a multinational group of over 2500 scientists have endorsed an article cautioning that a hardened barrier may produce devastating ecological effects while hampering binational conservation efforts. In the BioScience Viewpoint , a group led by Robert Peters, William J. Ripple, and Jennifer R. B. Miller call attention to ecological disturbances that could affect hundreds of terrestrial and aquatic species, notably including the Mexican gray wolf and Sonoran pronghorn. 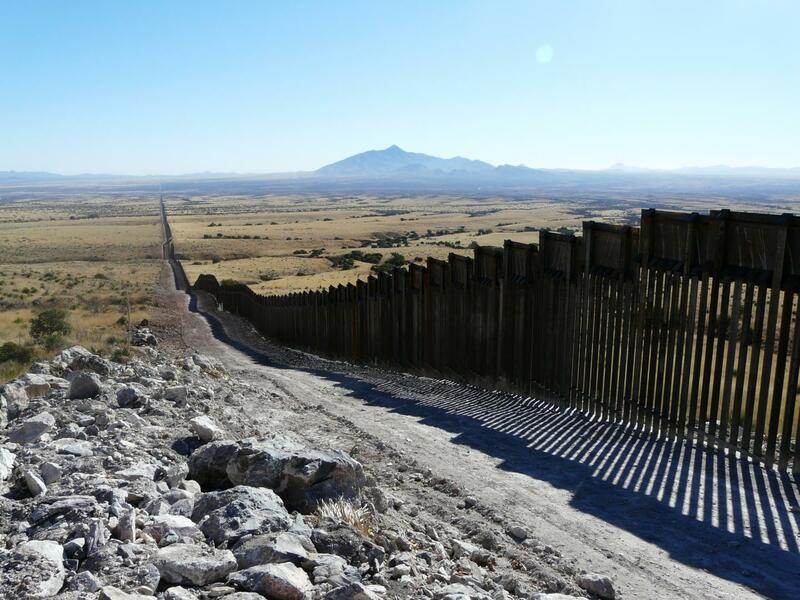 The authors argue that the border wall will harm wildlife populations by fragmenting, degrading, and eliminating existing habitat, as well as by blocking species migration. "Our analysis shows that the border bisects the geographic ranges of 1506 native terrestrial and freshwater animal (n = 1077) and plant (n = 429) species," say the authors, noting that the number includes 62 species already listed as Critically Endangered, Endangered, or Vulnerable by the International Union for Conservation of Nature. Further, the authors express concern that as a result of the 2005 Real ID Act, construction could proceed "without the necessary depth of environmental impact analysis, development of less-damaging alternative strategies, postconstruction environmental monitoring, mitigation, public input, and pursuit of legal remedies." Compounding the issue of forgone legal protections, Peters and colleagues warn that a border wall could threaten ongoing research and conservation programs, including those in binational habitat corridors and the 18% of borderlands that contain environmentally protected lands. To mitigate the effects of the proposed wall, the authors make several urgent recommendations to the United States Congress and Department of Homeland Security; these include following existing environmental laws, taking action to mitigate ecological harm, and forgoing physical barriers in particularly sensitive areas. The article` also calls for the government to encourage scientific research in the borderlands, to inform and assist environmental evaluation and mitigation efforts. The authors conclude that "national security can and must be pursued with an approach that preserves our natural heritage." Authors: Robert Peters, William J. Ripple, Christopher Wolf, Matthew Moskwik, Gerardo Carreón-Arroyo, Gerardo Ceballos, Ana Córdova, Rodolfo Dirzo, Paul R. Ehrlich, Aaron D. Flesch, Rurik List, Thomas E. Lovejoy, Reed F. Noss, Jesús Pacheco, José K. Sarukhán, Michael E. Soulé, Edward O. Wilson, Jennifer R. B. Miller, and 2500+ signatory scientists.